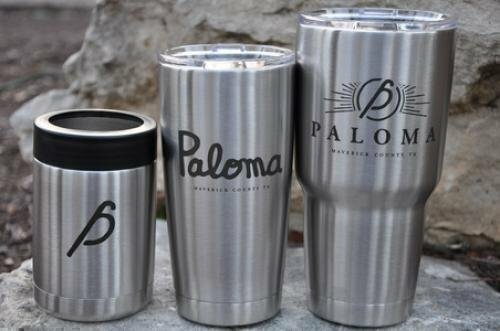 Yes, we engrave on your Yeti and Rtic tumblers and other similar stainless steel mugs and cups. The engraving is black. Powder coated tumblers engrave to silver. We also offer Polar Camel Tumblers in a variety of sizes and colors. Hand washing recommended - not dishwasher safe.